Download the TSLPRB SI Syllabus 2018 in this page. 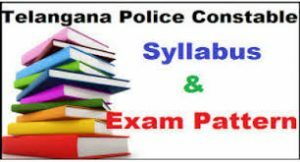 The Telangana Police Syllabus and exam pattern for the Stipendiary Cadet Trainee (SCT) Sub Inspector of Police, Sub Inspector & Assistant Sub Inspector written test purpose. So applied candidates first catch syllabus and exam pattern for the preparation purpose. In this page, you can catch it and otherwise follow the official site @ www.tslprb.in. TSLPRB Syllabus: Aspirants, are you apply for the TSLRPB Sub-Inspector, ASI recruitment notification and you are also searching for the latest updates about the syllabus and exam pattern. Once refers this article, for the gaining of the precious upcoming updates about the syllabus. The board of TSLRPB releases the TSLPRB SI Syllabus 2018 on their official site. Applied candidates catch and use it. You are also referring the Latest Sarkari Jobs in this page. TSLPRB SI సిలబస్ 2018 తెలంగాణ రాష్ట్ర స్థాయి పోలీస్ రిక్రూట్మెంట్ బోర్డు (TSLRPB) బోర్డు ప్రకటించింది. అభ్యర్థులు, వ్రాత పరీక్ష రాయడానికి కోరుకునేవారు, ఆ అభ్యర్ధులు డౌన్లోడ్ చేసి వాడతారు. This is the best opportunity for Telangana state candidates. A huge number of candidates wish to take the written test of TSLRPB on the recommended dates of the board. At present, the willing candidates almost complete their registration process and they can download TSLPRB SI Syllabus per the preparation purpose and also starts the preparation by using the downloaded syllabus. Candidates, in case you have not interested to take the TSLPRB SI Exam, don’t worry, you have more chances in the state of Telangana Jobs, check and apply it. Check Telangana Police SI Exam Pattern: In the exam point of view, the exam pattern is important. Because without knowing the test pattern, you can’t attempt the written test in the proper way. you wish to get the minimum cut-off marks in the exam, definitely, you will follow the Telangana Police SI Exam Pattern. Once refer the exam pattern you have an idea about the question paper. The competition was heavy in this TSLRPB vacancies. Because a huge number of candidates are enrolled their names for the written test purpose. If you wish to reach your goal you will follow the TSLPRB SI Syllabus 2018. So the preparation was important in a proper way. We provide all TSLRPB SI Subjects Syllabus and exam pattern on this page for the helping of your exam preparation. Applied candidates, also refer Previous Papers in this page. Paragraph ask in Both the English and Urdu/Telugu languages. Catch TSLPRB SI Syllabus Through @ www.tslprb.in: The official site was important to download the syllabus and exam pattern. By using an official site you can easily catch the syllabus and exam pattern. Candidates refer many sites for the downloading of the syllabus, but some sites provide the fake information. As per the reason, prefer only official site @ www.tslprb.in. You can also Catch Telangana SLPRB SI Syllabus 2018 in this page. Follow the downloading links and steps at the bottom of the page. Find the TSLPRB SI Syllabus link on the homepage. Click on the link and then check the syllabus link. After checking download the syllabus in PDF format. Download Telangana SI, ASI syllabus and exam pattern for the Future preparation purpose.